Merry Legs was given her name the minute she walked off our trailer in January 2009, along with her traveling buddy Black Beauty. Ellie named them both, and as you can tell there was a movie she was hooked on. Lauren leading Zadie-Lynn around on Merry Legs while Mommy spots. 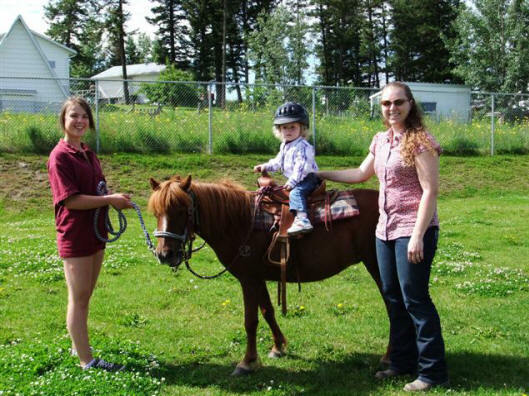 This was during the 150th Birthday of 150 Mile House celebration where Merry Legs offered pony rides for kids at the Rose Lake Miocene 4H petting zoo. Trace barrel racing Merry Legs at a 4H function, August 2011. 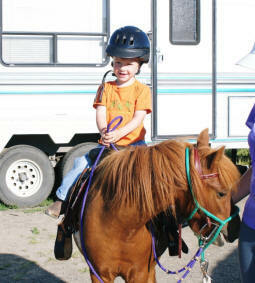 Trace and his pony, Merry Legs, waiting for their turn to do the barrels. August 2010. Isabelle (our exchange student from Paris, France) and Ellie on Merry Legs in the summer of 2010. 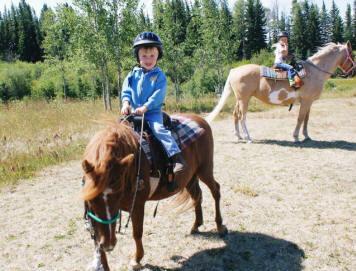 And Trace having his turn riding her too. 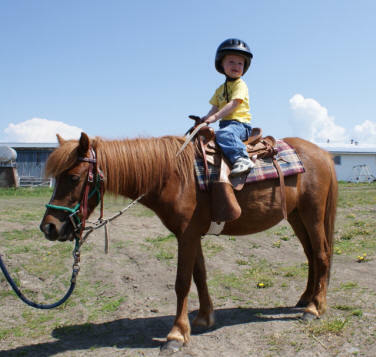 Trace riding Merry Legs in June 2009. 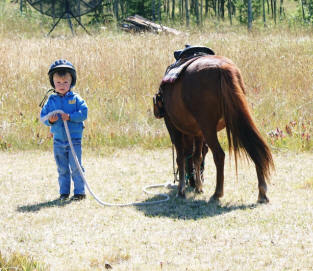 It took us awhile to get a cinch and bridle small enough for her. 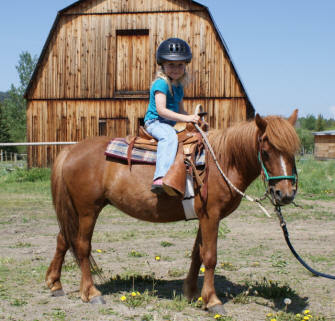 Ellie riding her in June 2009. 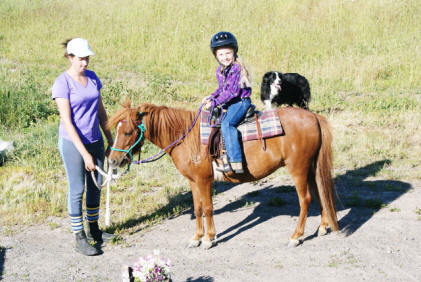 The kids enjoy riding her so much. Here is Merry Legs standing on her walking trail. We had to plow out her pen because when she arrived we had 3 1/2 feet of snow and she wouldn’t have been able to move. Merry Legs in January 2009 with all her fuzzies. She loves to stand on the big snow hill and pretend she is taller. 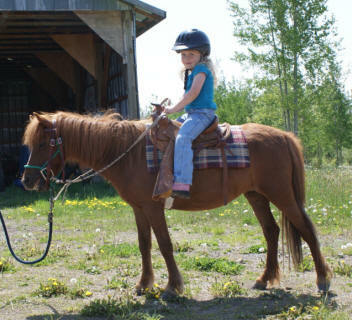 She is a sweetheart and we look forward to our kids growing up riding her and learning from her. For her small size, she sure can move, she walks faster than some of the full grown horses!